On a flying trapeze, the success—and survival—of the troupe relies on performers meticulously carrying out their respective parts in a complex choreography of coordinated actions. As one person soaring through the air releases the bar, another must time his or her actions to catch that person. If poorly coordinated, the act will not just fail; it could prove fatal. It is not that different for a business. The “performers” are the members of the executive leadership team. As with the trapeze troupe, success or failure hinges on the group’s execution of coordinated action, with each person playing his or her role while committed to a common goal. That kind of coordinated action does not happen on its own, however. Instead, you can must instill, inspire and empower the right actions Click To Tweet by defining roles, expectations, behaviors, accountabilities and parameters for the team in a formal leadership charter. 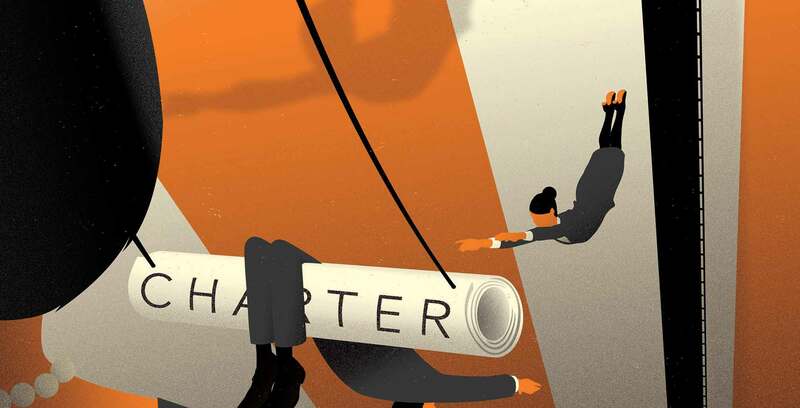 Done correctly, a charter will become one of the most powerful weapons in your arsenal for driving alignment, communication and collaboration—exponentially increasing the enterprise’s ability to execute breakthrough results and unlock competitive advantage. At the same time, by putting the leadership team fully in sync, a charter can unleash a powerful force across the organizational strata: agility. When executive teams are coordinated in the actions they take, they are better positioned to pivot in the face of disruption and capitalize on new opportunities. That is not to say the company does not have obligations and commitments to employees and shareholders (both are listed in the credo as well). But its mission transcends revenue and stock price. The payoff? Johnson & Johnson is considered one of the most innovative companies in the world and ranked among “The 25 Happiest Companies to Work For in 2017” by CareerBliss. What cathedral is the team building? What actions am I counted on to provide? What are the most critical accountabilities relevant to my role? What are the metrics that gauge my performance? The charter should also outline such details as meeting frequency, duration, protocols and other topics related to the operations and infrastructure of the group. Make no mistake, the true opportunity of a leadership charter—and for you personally, as a leader—is determined by how you are perceived by those around you. You might be the most congenial person in the world, but if others perceive you to be inconsistent or ineffective, their actions—and interactions with you—will follow accordingly. Consider committing to a series of behaviors and recording them in the leadership charter. These are behaviors that you would want others to mention when describing you. From that point forward, members of the group can be held accountable by their counterparts to act in full accordance with these written behaviors. Otherwise, the credibility of the individual and the charter can quickly become compromised. No leadership charter will be meaningful until each member truly commits to being reliable. Click To Tweet Resist the temptation to dismiss this as inconsequential. When reliability, which we at Insigniam refer to as “working as your word,” is established, agreed upon and upheld it can catalyze breakthrough results and agility across the enterprise. In its most basic form, this means doing what you say you are going to do, when you say you are going to do it—and then communicating when it is completed. Inversely, in situations where you will be unable to honor your commitments, it is important to openly and immediately communicate this, as well as any associated risks that may result, to those who are counting on you. It is also important to accept that you are responsible for the repercussions of failing to deliver on promises. If you are not going to be there to catch the trapeze artist reaching out for your hand, make sure they understand how the situation has changed, long before they let go of the bar. And there needs to be a safety net in place to catch them. Make no mistake, the true opportunity of a leadership charter—and for you personally, as a leader—is determined by how you are perceived by those around you. Leadership charters become actionable through the alignment and execution of decision rights. Once a leadership charter has been drafted and agreed upon, the CEO will often reconvene with the executive leadership team to outline which mission-critical decisions he or she will retain and which each member of the team will own. This is the time when the conversation becomes a negotiation with the ultimate intent of establishing alignment across the group. This does not mean agreement, but rather coalescing around a set of behaviors to which leaders commit themselves to acting in, consistently. This is where things get interesting. I have seen some of the most fascinating conversations take place at this stage, especially in the midst of large-scale mergers and acquisitions. 1. What are the critical decisions I must be empowered to make? 3. Whom will I inform? Whom will I need to enroll? 4. Who can veto this decision? While making the decision is important, we often overlook that there are other actions that have to take place, including consulting and enrolling. For example, it is critical to consult the executive leading R&D when deciding on a new product-development strategy in marketing. Or, while CFOs have myriad decisions to make, if they fail to enroll the managers and executives who have to execute those decisions, there is a low probability of success. These roles of being consulted and enrolled are as much rights in decision-making as being the person who makes the ultimate decision. But, just as enrollment will make or break the power of your decision-making in an enterprise, so will the lack of appreciation or balance for the role with the veto power. There are certain critical decisions where someone in the organization may have veto power. 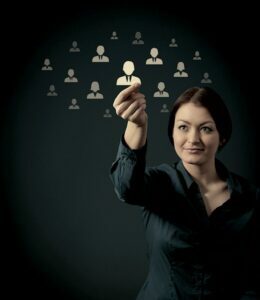 Think of the head of regulatory affairs in a pharmaceutical company when a new drug is being developed, or the chief marketing officer who owns “the brand.” In either case, there are situations in which a decision may be unacceptable because it threatens the boundaries for which these roles are accountable. If your organization has too many decisions with veto roles, you only have a pretense of decision rights. Have too few, and you risk compromising structural soundness. As you are working through these questions, do not confuse a decision rights matrix with a responsibility assignment or RACI matrix. Whereas RACI is focused on accountability, decision rights are wholly focused on who is entitled to participate in making a decision. When handled in a facilitative setting, establishing decision rights can afford an organization tremendous clarity. Decision rights can lead to profound and meaningful growth, increased effectiveness and heightened morale. Conversely, if an individual’s decision rights are not honored, the leadership charter becomes meaningless. A leadership charter can quickly become the manifesto that guides the actions of an executive team or committee in their pursuit of results and agility. Yet many enterprises underestimate just how critically important it is to formulate an actual, tangible leadership charter. Do not make that mistake. The ROI is clear. Those organizations willing to invest the time and effort to establish a charter can dramatically slash the time it takes for leadership teams to be effective and unlock powerful agility across the enterprise.